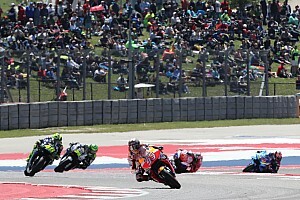 Marc Marquez took his seventh consecutive pole position at the Circuit of the Americas in qualifying for MotoGP's Grand Prix of the Americas, while title rival Andrea Dovizioso ended up down in 13th. 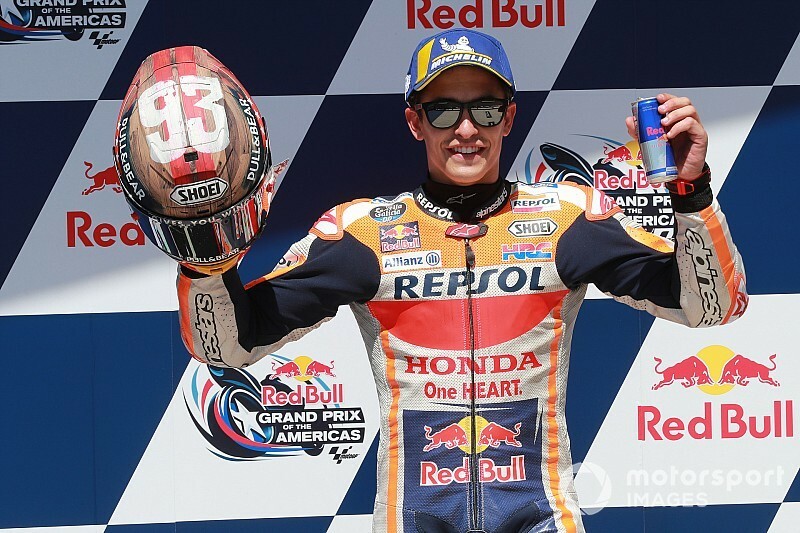 On a practically dry circuit following the thunderstorms that curtailed third practice earlier in the day, Honda man Marquez logged a 2m03.787s at the start of the 15-minute pole shootout to maintain his unbroken pole streak at COTA, a track where he has yet to lose in MotoGP. 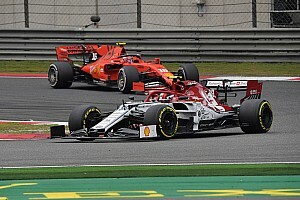 His closest challenger proved to be Yamaha's Valentino Rossi, who moved up to second midway through the session and consolidated that position with a 2m04.060s, 0.273s down on Marquez. 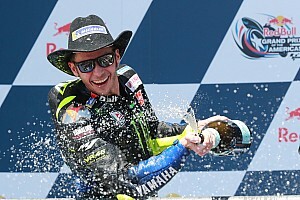 Cal Crutchlow bagged the final spot on the front row for LCR Honda with a time only a tenth slower than Rossi, and almost three tenths up on the Pramac Ducati of Jack Miller in fourth. 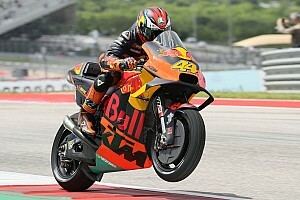 Pol Espargaro followed up his impressive Friday with KTM's best-ever MotoGP grid position in fifth, 0.685s off the pace, ahead of Maverick Vinales' Yamaha and Alex Rins' Suzuki. Danilo Petrucci battled his way through Q1 to take eighth on the grid, while Petronas Yamaha duo Fabio Quartararo and Franco Morbidelli completed the top 10 order. Jorge Lorenzo endured an eventful qualifying, making it out of Q1 with the best time but then losing valuable track time in Q2 when his Honda jumped a chain. The Spaniard parked his bike against the pitwall along the start/finish straight - only for it to awkwardly topple over - and jogged back to the Repsol Honda pit in scenes reminiscent of teammate Marquez's dash to the garage in 2015. 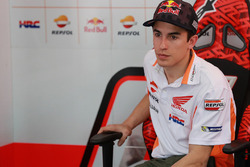 Lorenzo ended up 11th-fastest, 1.596s off the pace, while Francesco Bagnaia was 12th and slowest in Q2 after suffering two crashes on his 2018-spec Pramac Ducati. 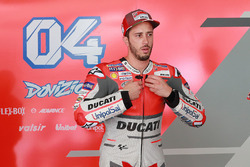 The big story of Q1 was Dovizioso failing to make it through to Q2, having been left to face the opening segment after ending up outside the top 10 on Friday. Dovizioso briefly went fastest on a 2m05.907s with a few minutes left of the session, but that time was soon eclipsed by Lorenzo, who went top with a 2m05.855s. Petrucci then knocked his factory Ducati teammate out of the second transfer spot with a 2m05.891s, consigning Dovizioso to sharing row five with Suzuki's Joan Mir and LCR Honda's Takaaki Nakagami. Aprilia pair Aleix Espargaro and Andrea Iannone will head up row six from Tech 3 KTM rider Miguel Oliveira, who was three tenths quicker than factory stablemate Johann Zarco in 19th.